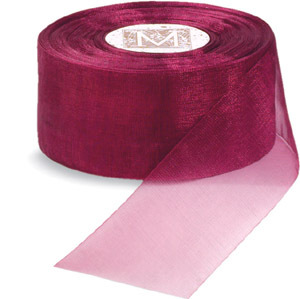 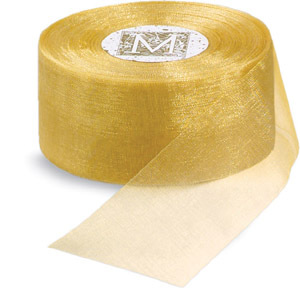 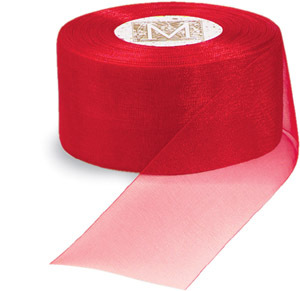 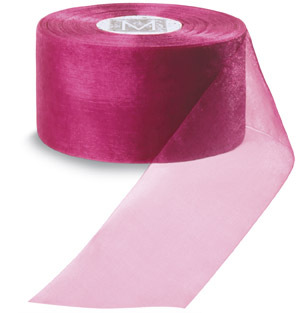 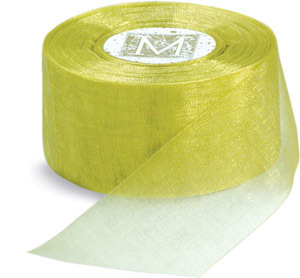 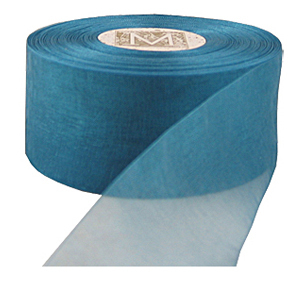 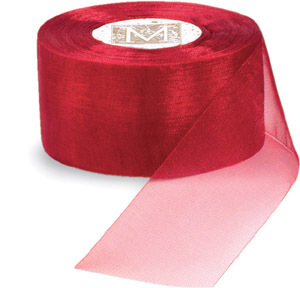 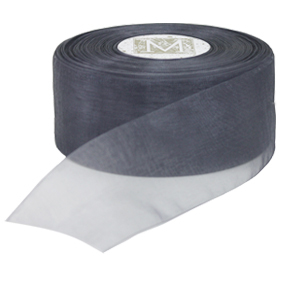 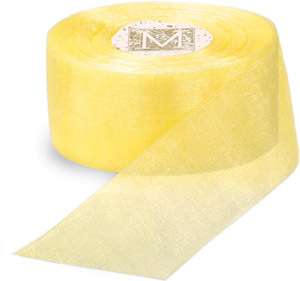 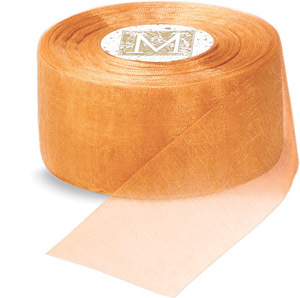 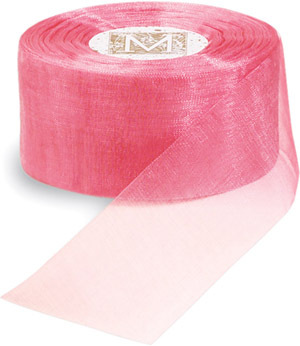 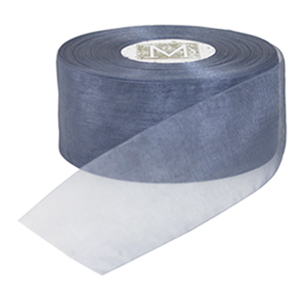 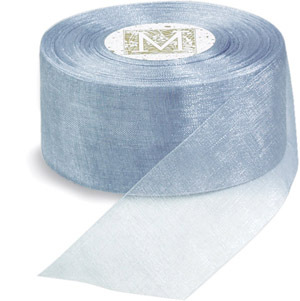 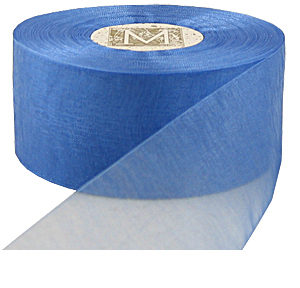 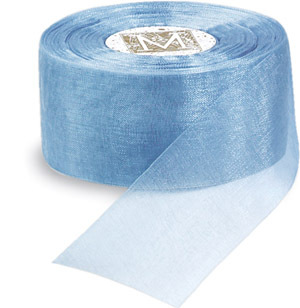 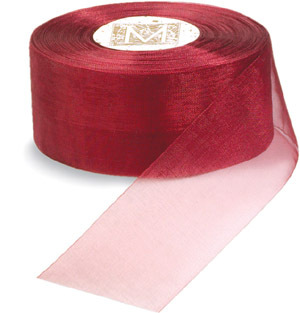 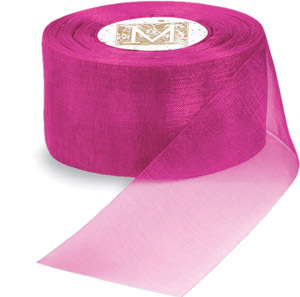 The organza ribbon shown below can be ordered in ten yard sections and by the full roll. The 3/4" can be purchased by the yard with no minimum requirement. 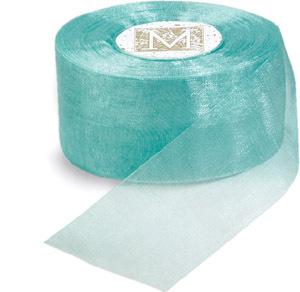 There are 61 different organdy colors and 4 widths to choose from! 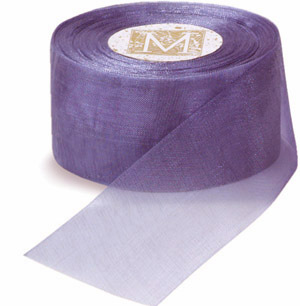 To order organza by the yard click on the picture of the color you want. 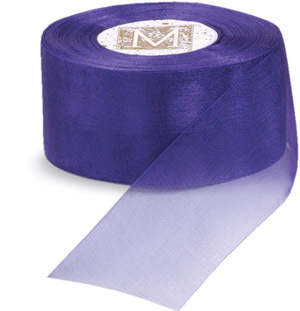 You will be brought to a page where you can select the width and number of yards (in 10 yard increments). 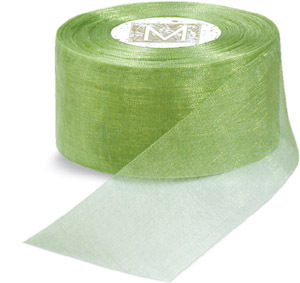 Midori organdy ribbon is created using very fine nylon threads, which are woven into a light but strong and beautiful weave. 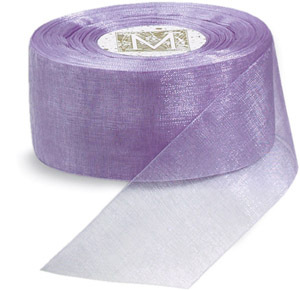 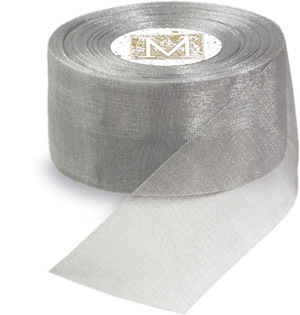 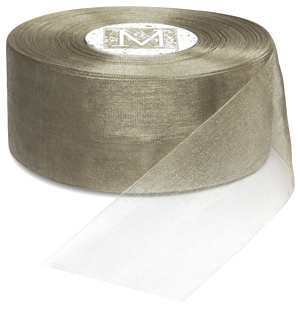 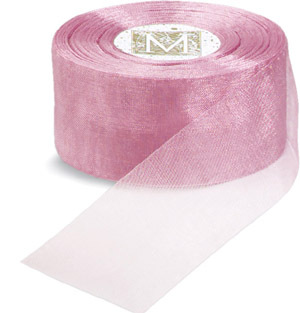 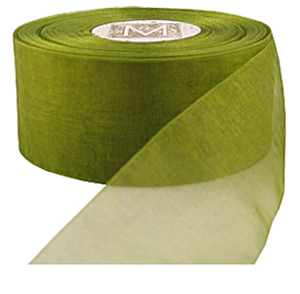 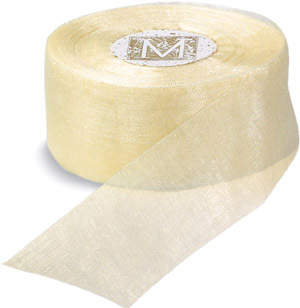 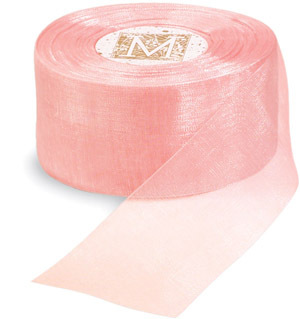 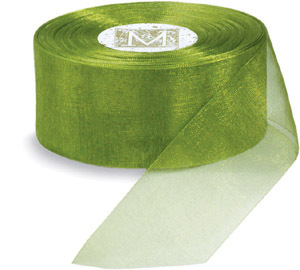 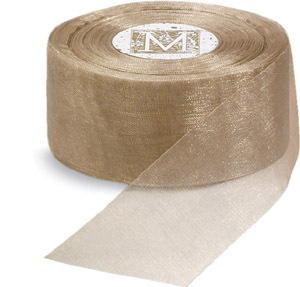 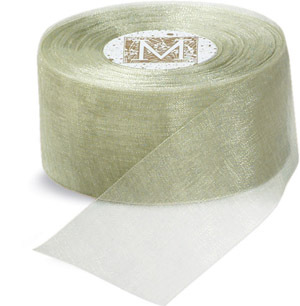 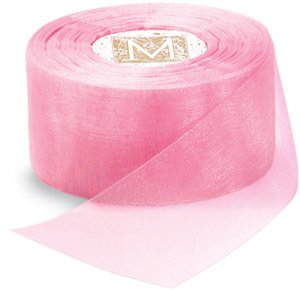 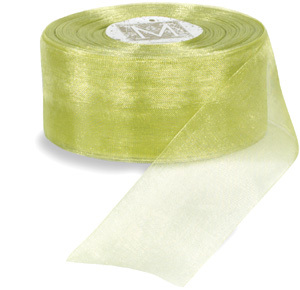 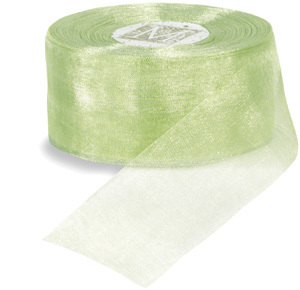 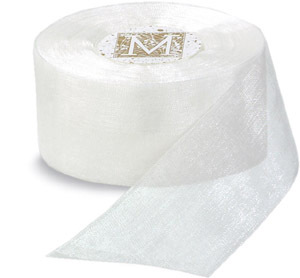 Midori sheer Organdy ribbon is a top choice among brides, florists, wedding planners and designers for accenting their creations. 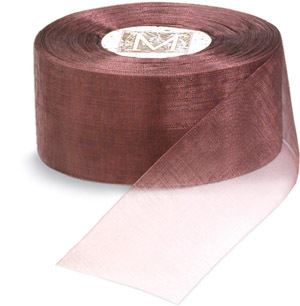 Brides and grooms often use organdy ribbon to put a beautiful finished touch on their wedding invitations and programs. 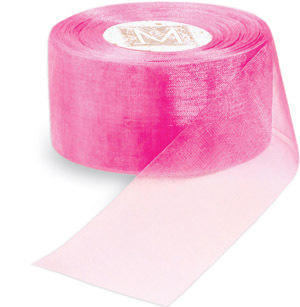 We are happy to share with you our color selection of Midori organdy ribbon here. 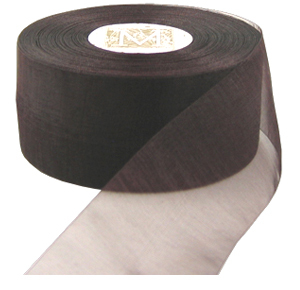 Organdy and organza are often interchangeable terms used to describe a sheer woven fabric. 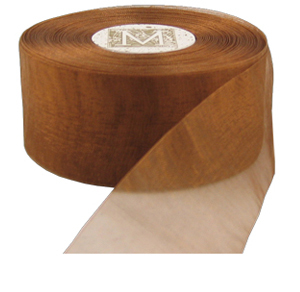 The difference is often attributed to the material. The material used here is nylon. Name and address here for sample. 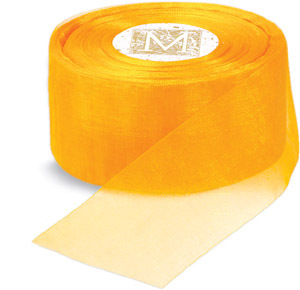 Please let us know how you found us. 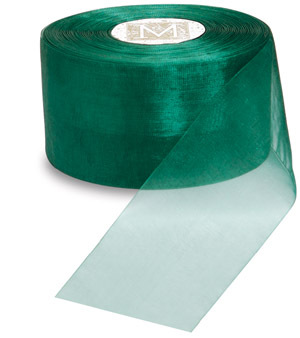 *Midori ribbon value on same day shipping must be over $150 and cannot be combined with other items. 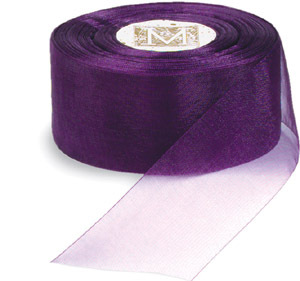 For same day UPS shipping please complete your order and payment by 10:30 am. 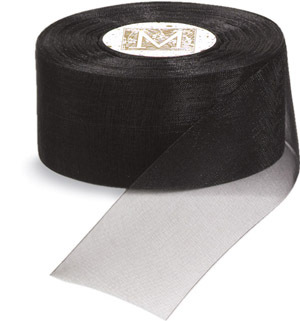 Not in that big of a hurry? 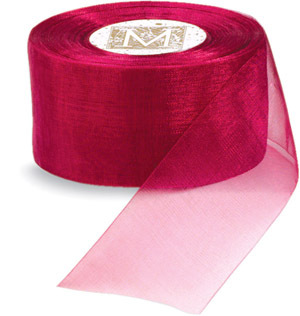 Most ribbon orders are processed and shipped in under 72 hours.